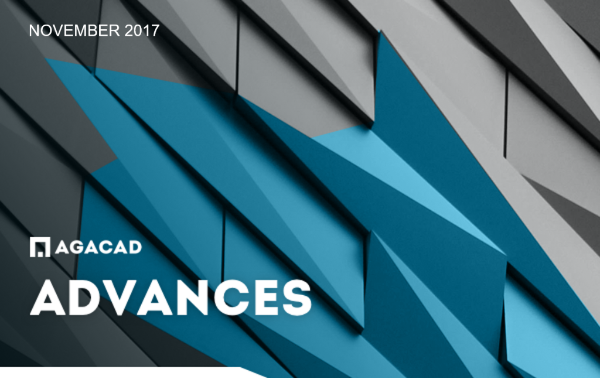 Check out the November 2017 edition of “AGACAD Advances”! In the past month or so, we’ve been to a couple of conferences, BIMAXON was unveiled, and we’ve hosted several webinars to provide tips and updates. And those are just a few things going on! We invite you to read the newsletter for a quick summary. We're hosting a webinar to highlight a new function of our Framing software: automated framing of wood or metal floors. Whether your floors are simple or complex, you can frame them with speed and ease. We're here to show you how in this webinar! We kindly invite all current users of our Framing software as well as potential users to attend this half-hour webinar. 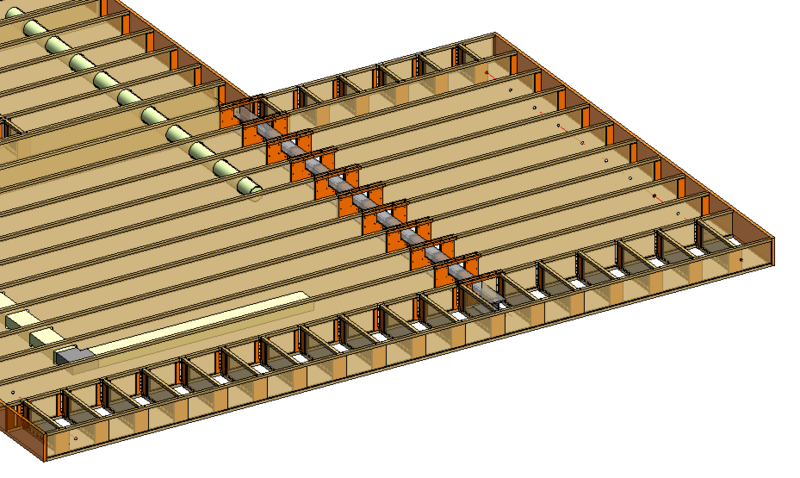 Come hear about the latest features that make framing floors in Revit easier than ever. In this webinar about framing timber or light-gauge steel floors, you’ll see the entire workflow: from having a simple floor modeled in Revit to auto-generating multilayer floor framing using Wood Framing Floor+. Not enough? We're glad to announce that we're co-hosting a webinar with AEC, our Partner in Sweden! This half-hour FREE webinar will be on November 23, 2017 at 1:00 - 1:30 PM Central European Time. That's 6 AM in Chicago, noon in London, 4 PM in Dubai, 8 PM in Kuala Lumpur, and 11 PM down-under in Sydney. NB: Opening remarks in Swedish, but webinar content will be in English. We kindly invite all existing Wood and Metal Framing users as well as potential users to attend this webinar. Hear about the recent feature that significantly speeds up your project documentation process, saving you time...and headaches! Over the past several months, we've held webinars about modeling and documenting precast concrete slabs, walls, columns and beams in Revit®. 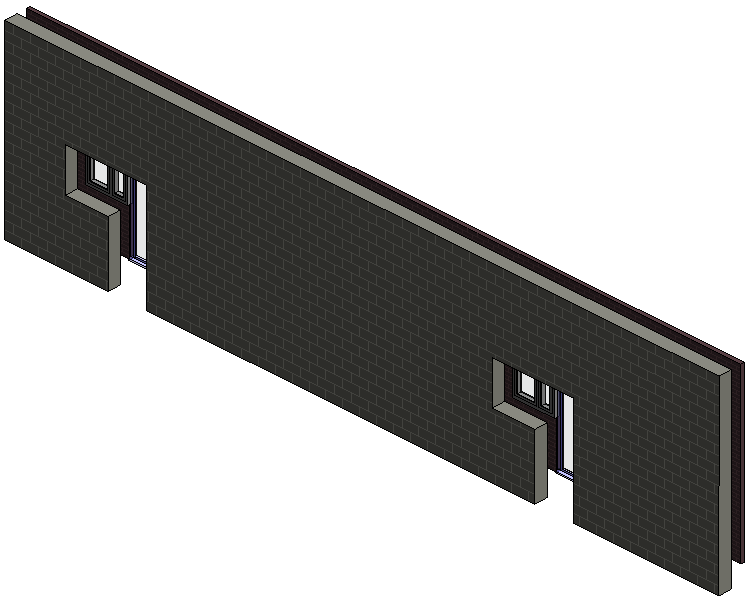 With our Precast Concrete BIM Solution, you can split floors into various types of slabs and divide walls into panels. Distribute connectors, cuts, plates, supports, anchors, grout tubes and other details en masse according to predefined rules, and then modify details to match the level of detail required. Automatically sort elements according to predefined rules. 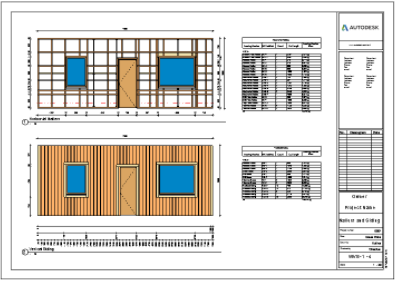 And finish off by generating shop drawings with automated dimensions, views, schedules, and sheets. If you missed those webinars or would like to see them again, we'll be more than happy to send a link to the recording. Contact us HERE. Meanwhile, here's a set of short videos we've produced that give a brief look at each aspect of our Precast software. We just got back from Autodesk University, and it's already time to prepare for the next big event: BIM World MUNICH. Even though this is only the second year of this conference, it’s already a leading BIM event in central Europe, with well over 100 exhibitors! We’re looking forward to exhibiting next to Contelos (our partner in the DACH region) at this growing event that brings together so many engaged players in the AEC sector. See you soon, Contelos! Along with our lineup of Revit tools, our team will be on hand to demo and discuss BIMAXON, a new-generation BIM platform that gives real-time access to data from all sources, be that source Revit, Tekla, Navisworks, Archicad, IFC, etc. 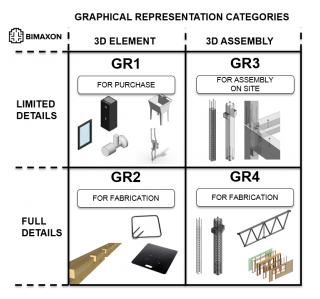 One of the primary purposes of BIMAXON is to reduce information to only what's necessary and delivering that -- no more, no less -- to the right BIM actors at the right time in the building life-cycle process. That means eliminating unnecessary information that clogs up our heads and IT systems. Which translates into increased efficiency and accuracy all around. 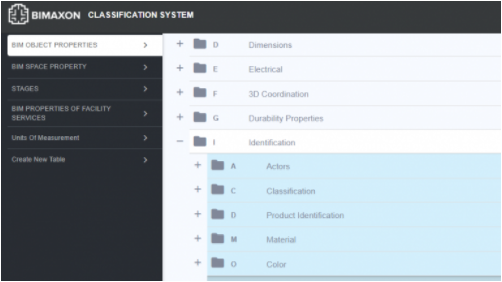 AGACAD will introduce its new-generation building information management platform during Autodesk University in Las Vegas. The beta launch of the BIMAXON platform, “a brain for a building”, will be a major highlight of our participation in AU from November 14 to 16, 2017. "The theme for this AU is ‘The Future of Making Things’, and BIMAXON is pioneering technology for the AEC future everyone’s dreaming about,” says Donatas Aksomitas, AGACAD’s CEO. “It’s the kind of advanced information management and exchange that’s needed for a world of VR/AR and IoT, for buildings with Artificial Intelligence. Imagine data from all sources in one place with real-time access and BIM with infinite dimensions. 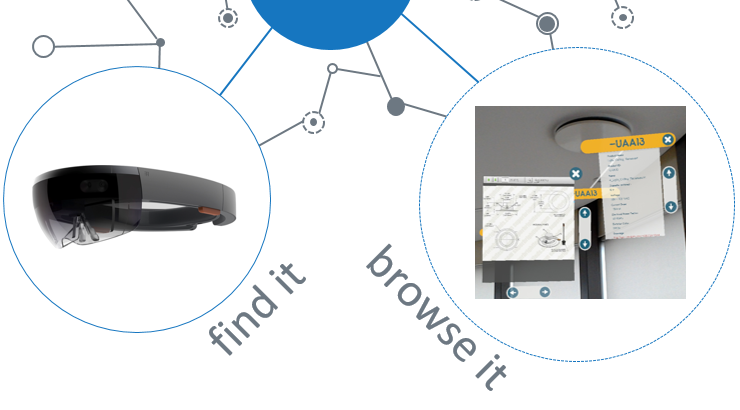 We’ll have a HoloLens to show it off with mixed reality,” he said. For more background, see his post from earlier this year: It’s time to standardize BIM object properties! BIMAXON will be beta-launched next week at Autodesk University! If you'll be there, look us up at booth A324! 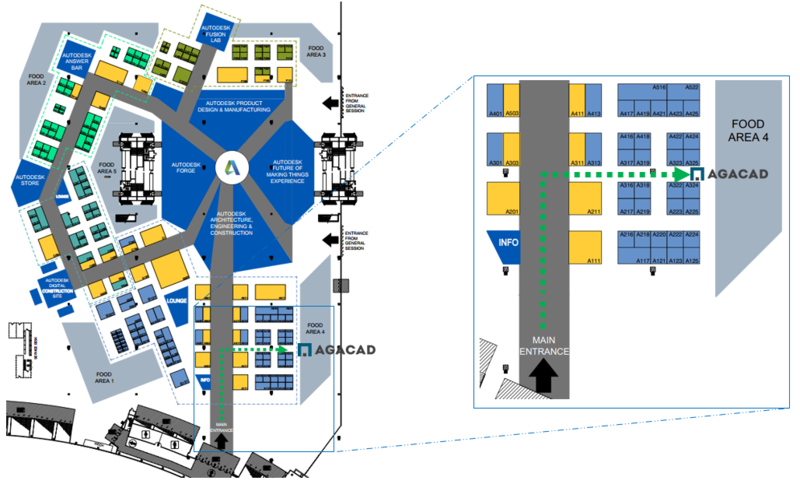 We'll be in the Building Design & Fabrication sector (next to food court #4). On his BIMAXON blog, AGACAD CEO Donatas Aksomitas has been developing his thoughts on a more effective way of presenting the right amount of information to BIM actors at the right time throughout a building’s lifecycle. A big part of that is transitioning from LOD to what he calls graphical representation (GR) categories. GR avoids the pitfalls of LOD: model overload and lack of accuracy. Check out his post! Speaking of BIMAXON, it's beta launch will be next week at Autodesk University! If you'll be there, swing by booth # A324 to say hi! We'll be in the Building Design & Fabrication sector, right next to food area 4. Many thanks to all who participated in last week’s webinar about cutting structural openings in Revit®. Our MEP engineer Jokubas showed how our Cut Opening BIM Solution has been enhanced through our collaboration with Scandinavian companies like COWI, Ramboll, and MOE. We kindly invite you to attend our webinar this Thursday about Cut Opening. Our MEP engineer Jokubas is going to keep this one short and sweet! In only 15 minutes, he’s going to show three improvements that resulted from our collaboration with leading Scandinavian companies, like MOE, Ramboll, and COWI.